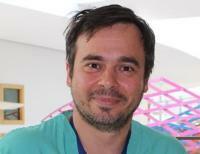 In Conversation With...Nik Haliasos, consultant neurosurgeon and AI enthusiast! We know there are lots of very interesting people in our Trust, whether through your work, your interests or your hobbies outside work. We want to get to know you and share your story. So here is the next instalment of our new series: In Conversation With… introducing Nik Haliasos, consultant neurosurgeon who recently secured a £57,000 grant to bring Artificial Intelligence (AI) to our Trust. Read " In Conversation With...Nik Haliasos, con…"
Read " Emergency Villagers show BHRUT has got t…"
A few months ago we asked the consultancy firm Deloitte to carry out an independent investigation into allegations in relation to bullying and engagement of medical staff at our Trust. Read " Report into allegations made in relation…"
We’ve appointed Nick Swift as our Chief Financial Officer. Nick, who joined our Trust at the beginning of September, brings more than 20 years of board experience in a variety of international finance roles, most recently as chief financial officer for British Airways until 2016. Read " We’ve welcomed our new Chief Financial O…"
In Conversation With...Ernesto Antonio, our theatres charge nurse who had a heart transplant 19 years ago! 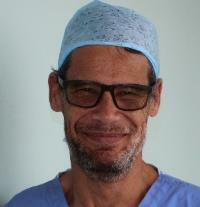 Ernesto Antonio is a charge nurse in our theatres. He’s worked at our Trust for over 30 years and even met his wife Kate when they were both working in one of our hospitals. Oh, and he had a heart transplant 19 years ago and regularly competes (and wins!) in events at the British and European Transplant Games. 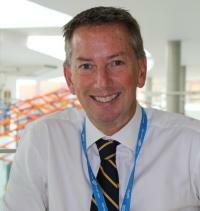 Read " In Conversation With...Ernesto Antonio, …"
Welcome to our new nurses and midwives! This week we’ve welcomed 50 new nurses and midwives to our Trust – the first group of around 180 who’ll be joining us over the next three months! Read " Welcome to our new nurses and midwives!…"
Our Sound of PRIDE choir, made up of staff from Queen’s and King George hospitals, is hosting a Right Royal Variety Show on Friday 28 September – and everyone is welcome to come along and be entertained. 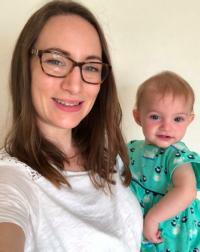 Read " Celebrate 70 years of the NHS at a Right…"
To help raise awareness of Sepsis, which can be very difficult to diagnose as it often hides behind common illnesses like flu or gastroenteritis, mum-of-three Laura Staples, 34, from Upminster, shared her own experience when her 15-month-old daughter Hayley had sepsis in July this year. 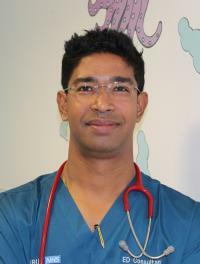 Read " Sepsis – a mum’s story…"
Sylvester Gomes is our Paediatric Emergency Consultant and paediatric sepsis lead. He always wanted to be a doctor - his favourite toy as a child was his doctor’s kit. And he’s a man of many of talents, he’s an advanced Salsa dancer, he also loves to travel and is even challenging himself by undertaking an endurance ‘holiday’ in just a few weeks. 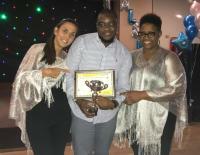 Read " In Conversation With..Sylvester Gomes, o…"
Nominate your hospital hero – it really does mean the world to them! 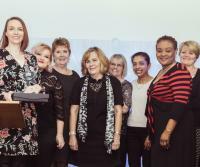 We’ve launched our annual PRIDE Awards – to recognise the hard work and dedication of all of our staff. Read " Nominate your hospital hero – it really …"